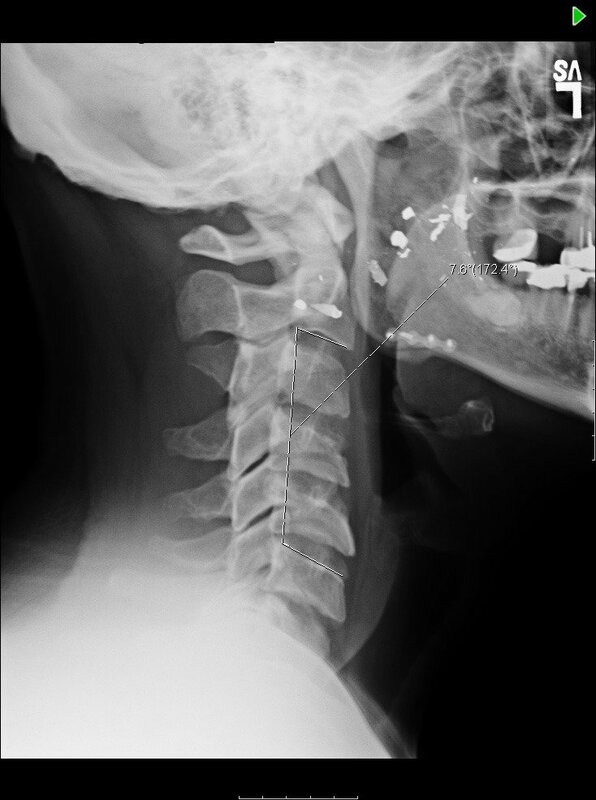 38 yo man with progressive neck curvature and pain. 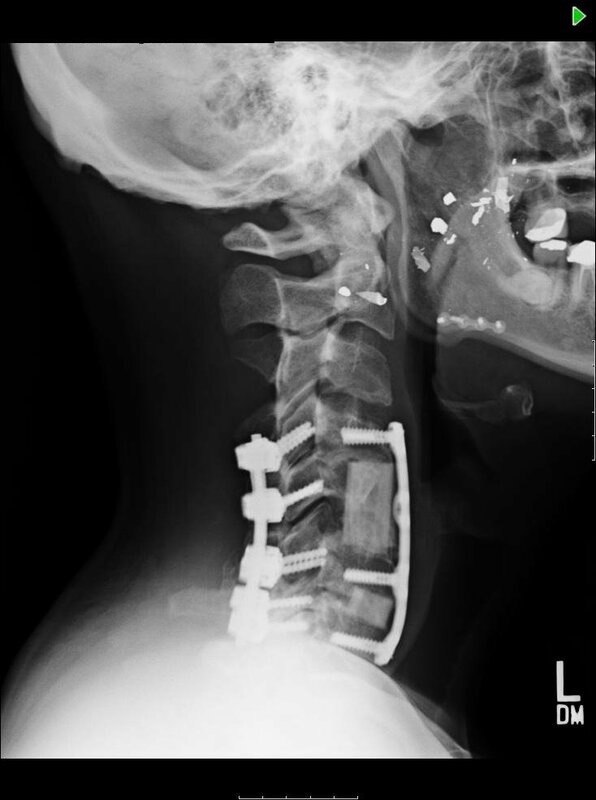 - Matthew D. Hepler, M.D. 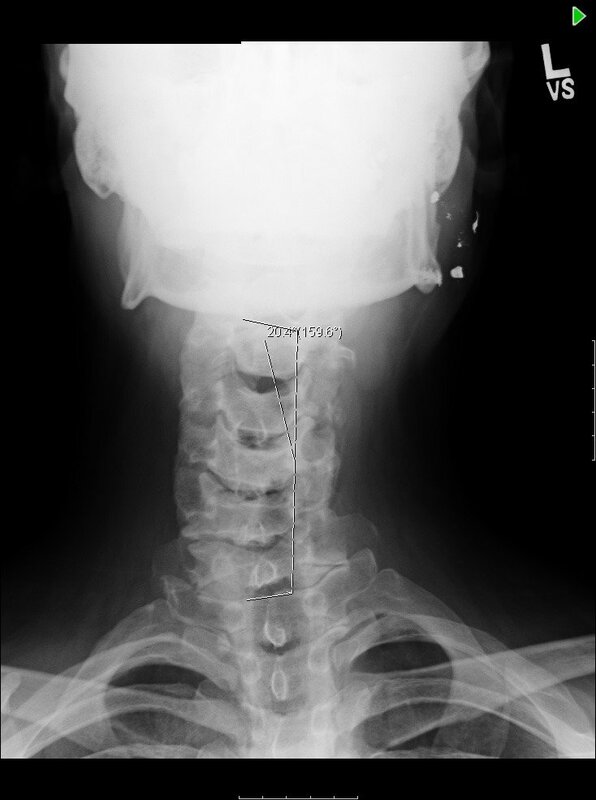 38 yo man with progressive neck curvature and pain. 38 yo man with cervical stenosis and progressive neck curvature with neck pain, arm pain, and weakness. Xrays demonstrate cervical degenerative changes with curvature measuring 21 degrees and hypolordosis and MRI demonstrating multilevel severe stenosis. 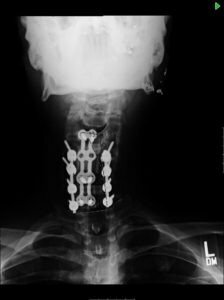 The patient was treated with an anterior and posterior procedure from C4-7 including multilevel osteotomies, decompression, and circumferential fusion and instrumentation. Postop films demonstrate correction of kyphosis and scoliosis with clinical resolution of his neck and radicular arm pain and improvement of strength.